Dutch New Worlds by Christian Salewski is the standard book on Dutch scenario thinking between 1970 and 2000, according to Allard Jolles. 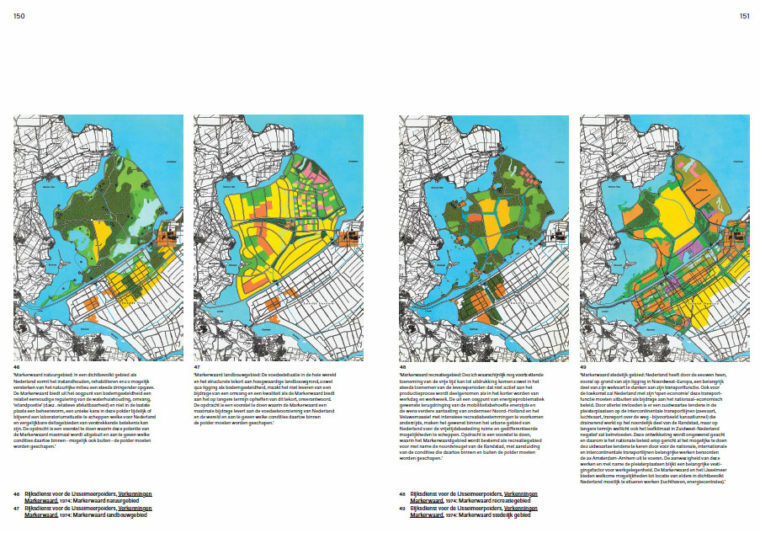 The book Dutch New Worlds: Scenarios in Physical Planning and Design in the Netherlands, 1970-2000 by Christian Salewski appeared in 2012 and recently won the PHS prize for innovative books on planning history. Now the book will probably receive the attention it deserves. And rightly so, because it has become nothing less than the standard work on planning scenarios in the Netherlands between 1970 and 2000. The book convincingly shows all that design research has influenced, and especially what it hasnt. At the same time, professional designers will read it and find themselves transported back in time into their profession, as it once existed, not as solitary individuals but as exponents of a particular era. It is a chastening experience. The final sentence of Dutch New Worlds lingers a long time in the mind, not because its the end but because of what it claims. Physical planning scenarios can be compared to research, but it is research of the present, not of the future. Scenarios can show what a decision was based on, and what the expectations of the decision-makers were. Salewski always chooses his words carefully and here, too, he is very precise. To him, thinking about the future largely means reflecting on our own era. And anybody who, like Salewski, studies the history of previous virtual futures is presented not only with all those differing opinions about that future but also with the time when those ideas were articulated. 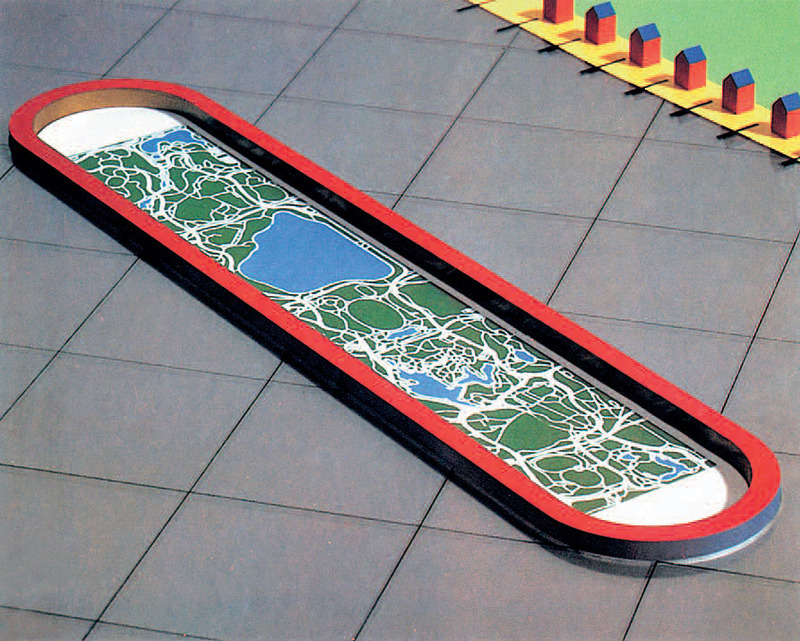 Second Report on National Physical Planning (1966). Spatial Structure Sketch of the Netherlands around 2000. In this respect, thinking about the future and thinking about history have much in common as disciplines. For not only do they examine periods on both sides of the present, but in their choice of subject they also serve a topical pretext and objective in the present, as French philosopher and journalist Raymond Aron (1905-1983) wrote in Dimensions de la conscience historique. The last chapter by Salewski is a fine endorsement of that. What did Aron write? He states that new history books can always be written about the same subject, because there is always a present-day pretext that determines which historical fragment should now be viewed in another light. And more than once, the present goal determines possible conclusions. That same light is the measure when it comes to thinking about possible futures. Salewski convincingly shows that working with scenarios essentially comes down to making a match between desired, possible and probable futures, from the perspective of here and now. He also focuses on how that happens and, to illustrate his point, makes diagrams (sure to garner a following! ), and looks in detail at the constantly new ways of looking at, say, Markerwaard or the entire country. Salewski is right. Scenarios are of course always tied much more to the present than their subject indicates. And they are always intended to enable policy-makers to evaluate certain choices against the desirability of the consequences of those choices, should one such scenario become reality. A decision is never taken solely on the basis of one scenario study, however, but the images and argumentation presented with the results always have an effect, no matter how fleeting they may be. After all, urban planners today cannot draw on anything but statistics from the past  that cannot by definition be any later than yesterday  to make plans for tomorrow. And then you need prognoses, whether they concern demography, social themes, macro-economic trends or climate predictions. But determining or changing the future compared to today is really something else. That is not a role for spatial scenarios. Spread from the book discussed here. ]not only do scenarios exclude all the interesting developments that happen due to implausible behaviours and chance, they also force the scenario-builders to paint a uniform, homogeneous image of a future society. This is exactly what physical planning and design should not be about. Or, as urban planner Wim Hartman once stated in his book The Fluid City, every individual remakes his or her space over and over, and all decisions made by those individuals together make or determine the space. Not the plan, which plays another role. It was high time that someone set this period of Dutch urban planning in the right context, and high time too that the profession came to realize for once and for all that it is never about the image of the future outlined in a scenario but about the communicative power of a story presented in words and pictures. It is for this, and for the copious images and perfect design, that this book deserves the designation as a standard work. then what? All you know for certain is that there is a topical pretext to call for something and that it serve a defined aim. Legitimate, certainly, but its got little to do with the future. Available from NAi Booksellers. Click here.